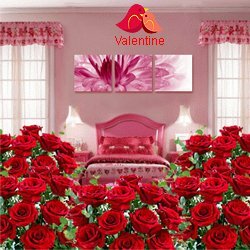 Valentine�s Day is the day to rejoice love in the most surprising way, surprise your love of life by sending Low Cost Valentine's Day Flowers to Bhopal. 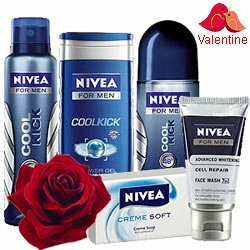 The day of love comes once in a year i.e. 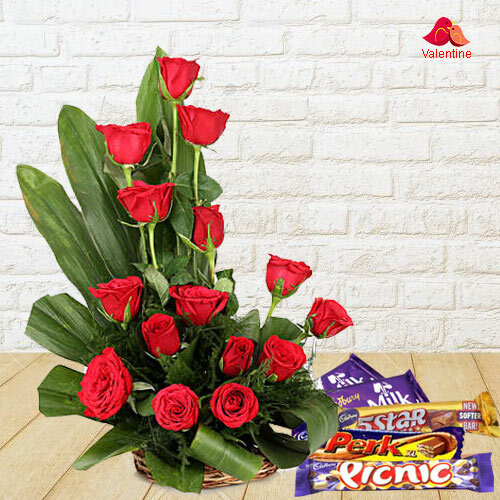 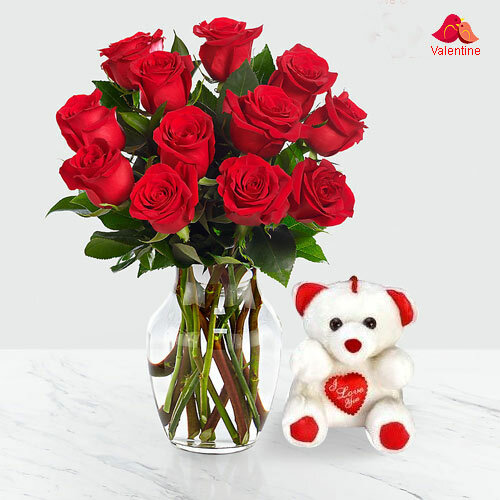 on 14th February, so make the day memorable affair through our massive Valentine�s Day Flower collection such as Dutch Red Rose Basket, Heart Shaped Rose Bouquet, Carnation N Roses Bunch, Mixed Roses N Gerberas in glass vase and lot more. 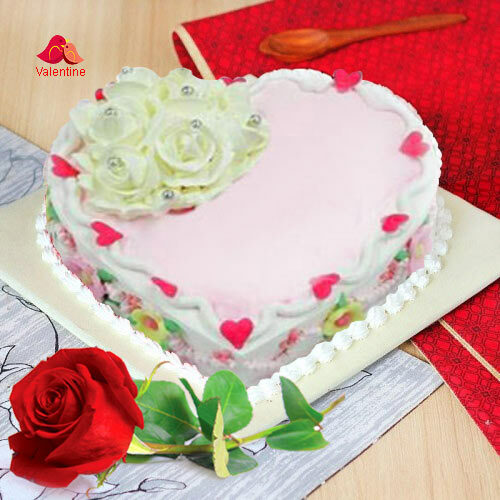 Pick Heart Shape Chocolate Cake, Twin Teddy, Heart Shape Balloons, Perfumes, branded Watch etc. 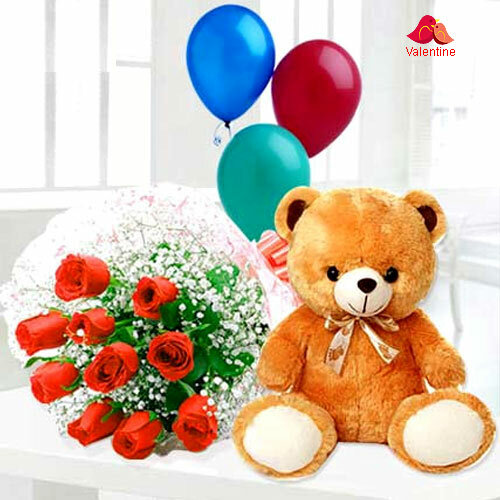 At cheap price as added gifts. 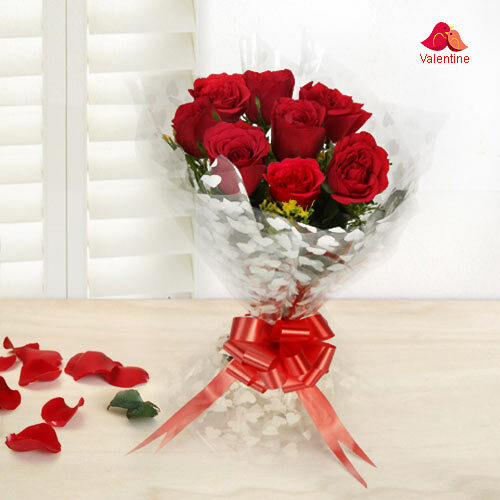 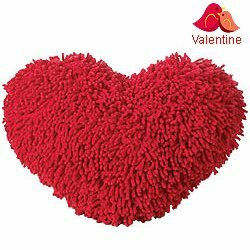 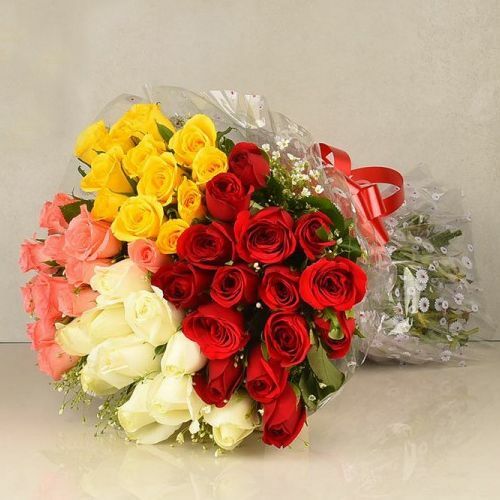 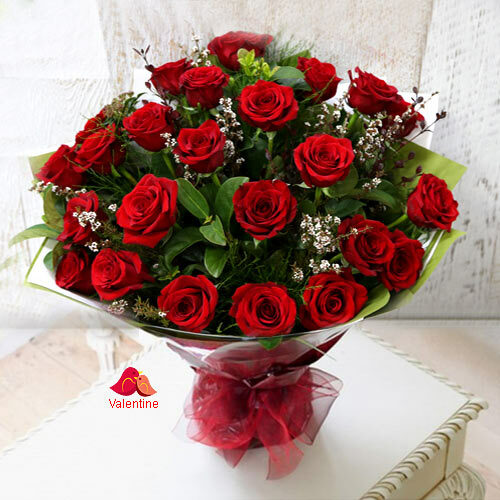 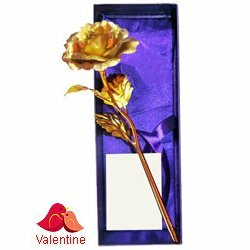 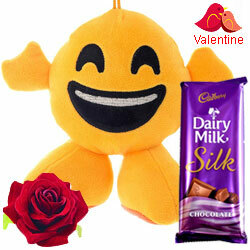 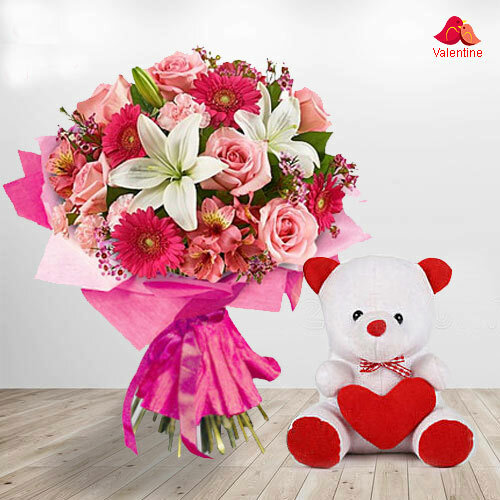 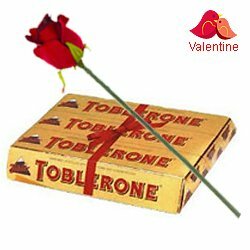 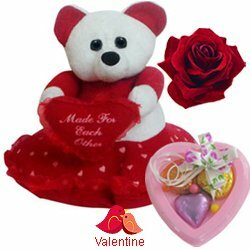 You just need to Order Flowers and Gifts and we Send Valentine�s Day Gifts to Bhopal Same Day or Next Day. 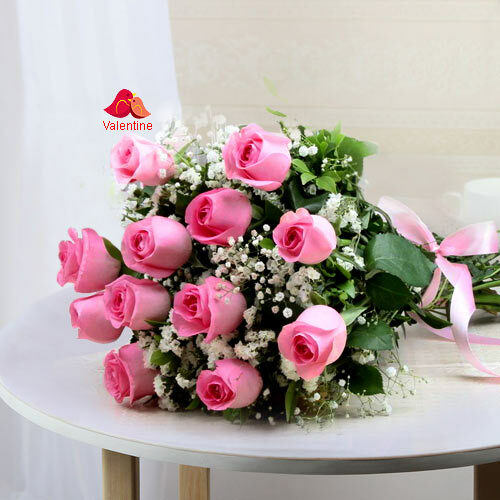 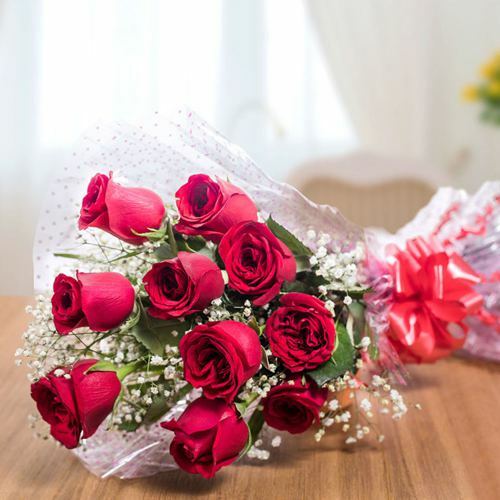 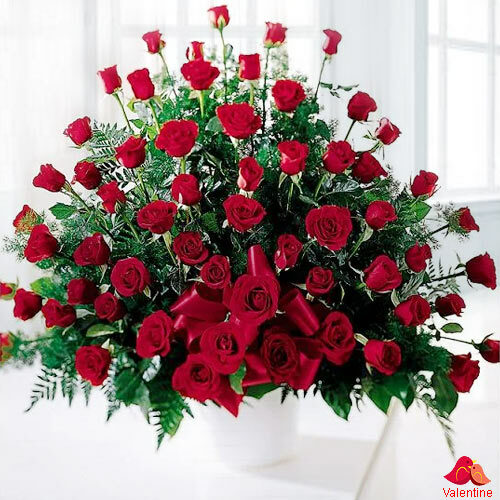 Our website is right here to lend you a hand in sending Valentine�s Day Floral Gift to almost all possible locations of Bhopal such as Keerat Nagar, Kham Kheda, Chuna Bhatti, Rasuliya Pathar, Gandhinagar, Arera Colony, Mungalia Kot, Islamnagar, Thua Kheda, TT Nagar along with many other locations free of any shipping cost. 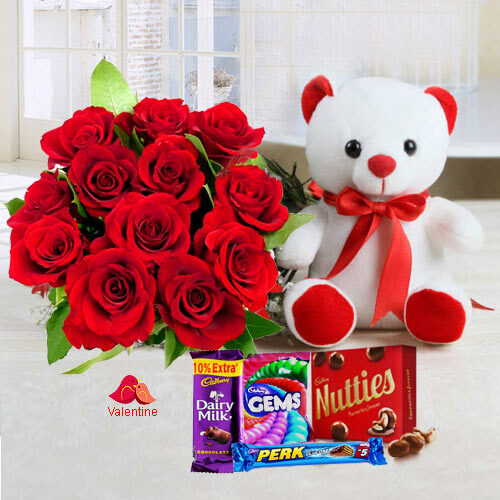 If you are looking for a romantic Valentine�s Day Gift idea to convey your feelings then Send Valentine�s Day Gift to Bhopal to give a pleasant surprise to someone special. You can pick Valentine�s Day Combo Gift of Cake N Flowers from our extensive range of Heart Shape Chocolate Cake N One Red Rose, Red Heart Shape Roses Bouquet N Love Mug, Red Dutch Rose Basket N Cadbury Chocolate, cute Hugging Teddy N Single Red Rose etc and avail the offer of express Valentine�s Day Gift Delivery service with no extra shipping charge. 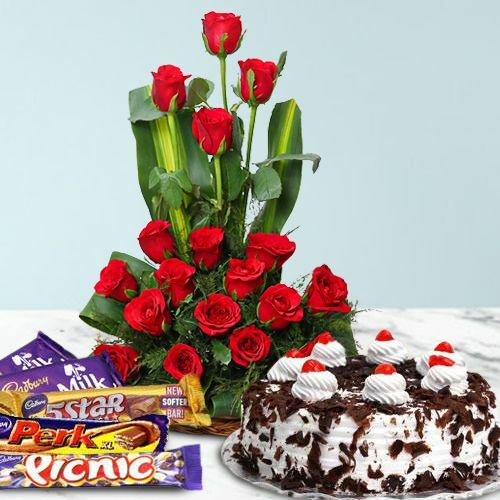 Online shopping takes away all minor hassles of Easy Order Modification, Prompt Delivery, Quick Refund and gives you abundant options to choose from a wide variety of gifting category. 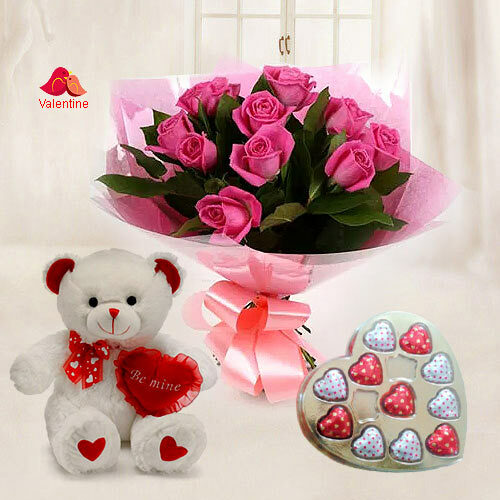 Make this�Valentine�s Day i.e. 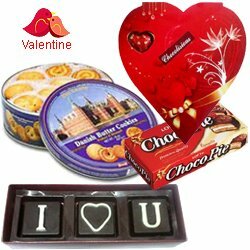 14th�of February more special with Online Delivery of Valentine�s Day Cake Gifts to Bhopal for expressing of love, romance, respect and joyfulness to your love partner be it your wife, husband, girlfriend, boyfriend. 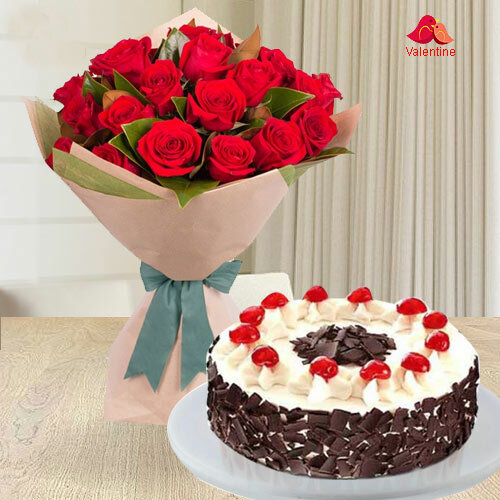 The Cakes that we offer here at our website are bakery fresh and made with high quality ingredients and available in various flavours such as Vanilla, Chocolate, Black Forest, Dry Fruits Cakes, Red Velvet, Pineapple Cakes and more. 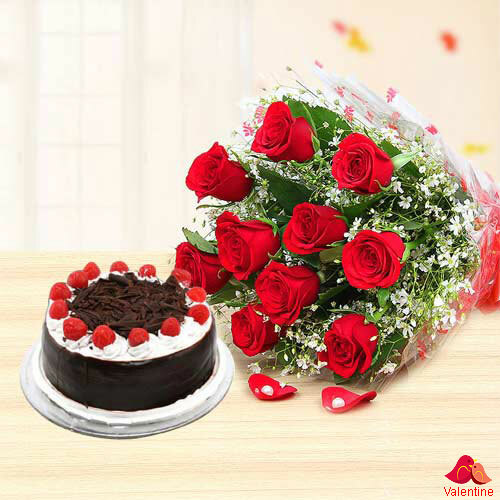 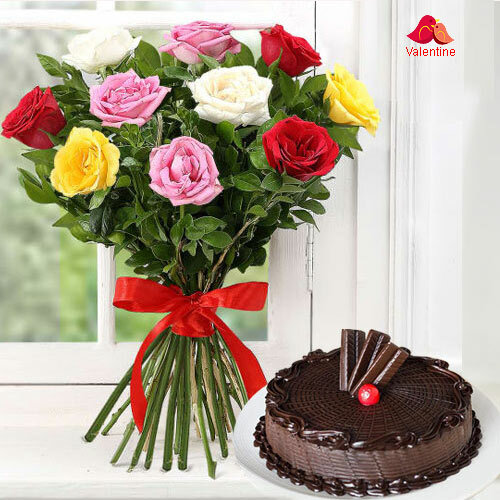 Order and Send Valentine�s Day Cakes to Bhopal on the Same Day of order without any shipping cost. 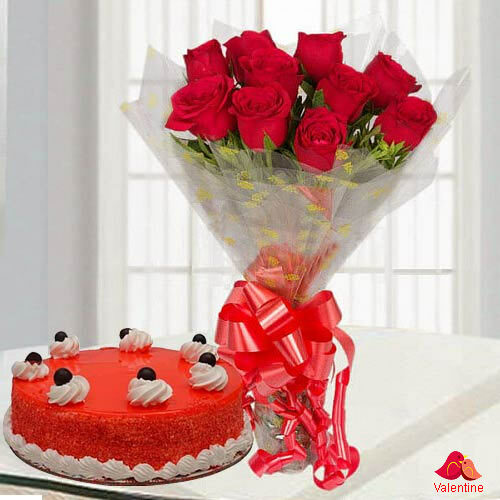 We can even provide mid-night delivery of your chosen Cakes to give your Mr. Valentine a pleasant surprise.